The character that is at the center of this plot point is, Val, played by Thandie Newton. As The Mary Sue puts it: There was one element of the movie that nearly ruined all that fluffy fun, and it was the treatment of the character Val. 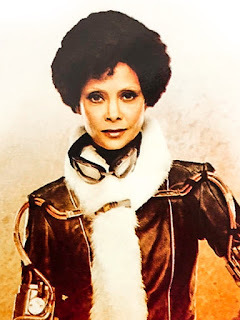 Nerdist saw it, too: The first black woman to be part of a main ensemble Star Wars cast who wasn’t playing an alien or creature of some kind, Val. 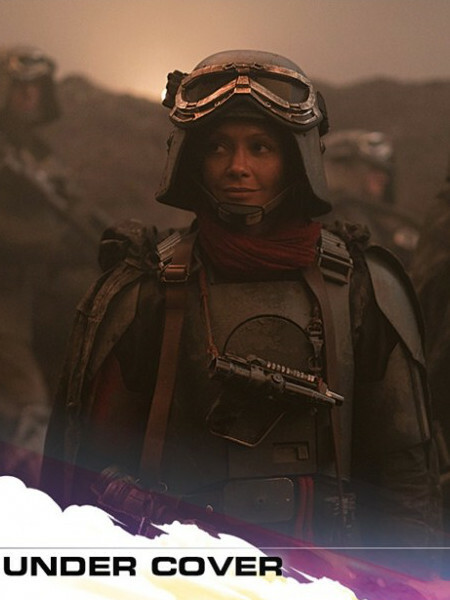 Thandie Newton’s radical rebellious thief was marketed as a key part of Solo’s core group, but she was unceremoniously killed off in less than a half hour after her first appearance. Val is awesome, and yet she is the first major character to die in the film. Early on in the movie, Han Chewie and a couple of smugglers, Val and Woody Harrelson’s Beckett, are on a heist, and Val ends up blowing up a bridge while she is still on it. Why would she do that, you’re probably wondering, and it is a good question. In a franchise known for daring escapes, Val just sits down and detonates herself, and not for any noble reason, either. She blows herself to kingdom come just so Beckett can – maybe – get some cash to pay off some debts. It’s jawdroppingly lazy writing, where the writers show utter contempt for the character and anyone who is either identifying with her, or just enjoying her badassery. The Mary Sue is quite generous about it, saying: This isn’t exactly a fridging in the technical sense of the trope, since in that case, a female character’s death is meant to fuel a male character’s motivation for action. Beckett, though, is sad for a minute and then kinda just … doesn’t care. Gavia Baker-Whitelaw on The Daily Dot goes along with that: Val’s death doesn’t quite fall into the fridged girlfriend trope, where girlfriends and wives are killed to provide motivation for the male lead character, so at least there’s that. But I disagree. First, having so many people wondering whether this scene is technically a fridging or not is not a sign of great writing, and second, it is totally a fridging. The scene is intended to resonate through the movie as Beckett and Han have a bromance and chat about whether it is ever okay to allow a girl to join a crew. Her death, though it doesn’t have much emotional impact on either of these two sociopaths, does inform their worries about whether girls can be trusted. This theme, if we are dignifying this sexist claptrap with the term, returns at the end of the movie when Emilia Clarke’s Qi'ra is revealed to be a double-crossing villain. On second thoughts, this might be giving the writers too much credit. Maybe they just decided that Han needed a mentor, and Val should be written out to allow Woody to strut his stuff. Unfortunately, we have seen Woody in the mentor role in The Hunger Games and a bunch of other places. 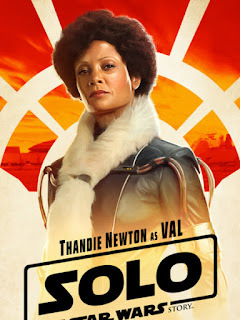 Thandie’s Val would have been a much more interesting choice than seeing Woody do the exact same thing all over again. But, instead, we get a lazy, stupid, ugly fridging that goes against the grain of the movie it takes place in. 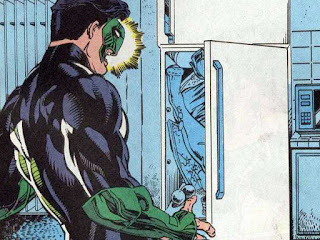 The women in refrigerators trope was coined by comic book writer Gail Simone when she was a comic book critic, referring to Green Lantern’s popular girlfriend in the ’90s comics who was literally murdered and put in a refrigerator to further Kyle Rayner’s arc. 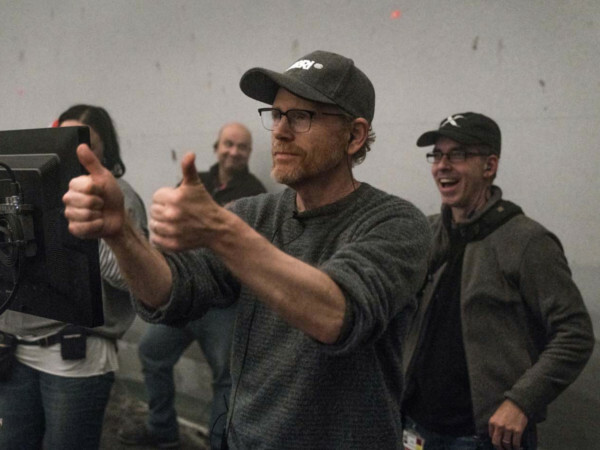 Fridging is rife within comics and movies, and in Solo, the trope is implemented in the most lazy and brutal way imaginable. Eleven-ThrityEight agrees with me that it is a fridging: Val is the second woman of color to have a major role in a Star Wars movie and the first black woman. She’s introduced as Beckett’s right hand woman (and lover), insanely competent in a firefight…and then fridged in the first third of the movie when the train heist goes awry. In theory, there’s nothing inherently wrong with killing off a female love interest on-screen, but it is done so nonchalantly across a swath of today’s media that it has to be written well and done for a good reason to avoid leaving a bad taste, like every other thoughtless fridging we see every day in every other movie. We have to ask ourselves whether we even think the writers were aware of what they were doing, and the signs are not good for Solo: A Star Wars Story. For example, The Force Awakens and Rogue One technically pass the low bar of the Bechdel test, but Solo fails miserably. 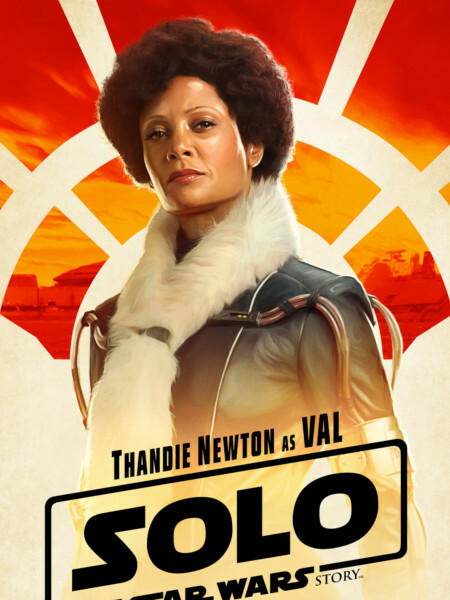 My instinct is that the writers of this movie didn’t even consider Val an important character, and that is an unforgivable blindspot, especially after a force of nature like Thandie Newton got cast. Even if the character was due to be fridged in the first draft of the screenplay, once Thandie Newton is on board, any team of creatives worth their salt should be very seriously reconsidering such a dumbass move. If you watch Westworld, you’ll know what a criminal waste of Thandie Newton’s talents this debacle has been. It is such a terrible shame this happened because, apart from he fridging of Val, oh and L3-37, the movie was actually action-packed and enjoyable. The Star Wars franchise is grudgingly making space for an increasingly diverse cast, and there are rumors that this is to continue. Things are actually starting to improve in front of the camera, and long may that continue. Eleven-ThrityEight sees such missteps as a lesson in needing diversity behind the camera as well as in front of it. How would Val’s characterization and presence in Solo have been improved if black women had been writing and directing the movie? Would L3’s droid rights campaigning still have been treated like a joke if written by a nonwhite person? You look at the success of Black Panther, Thor: Ragnorak, and Wonder Woman, and no small part of that comes from the work of Ryan Coogler, Taika Waititi, and Patti Jenkins. They brought their own experiences and their own sensitivities in dealing with representation and made stronger movies because of it. If Star Wars wants to stay relevant then it absolutely needs to give those opportunities to minority filmmakers. Lucasfilm has got to do better. Instead of paying lip service to diverse hiring behind the camera, they need to actually do it. Start hiring writers and directors who aren’t white men. I can only agree. I am a huge fan of Star Wars, but I haven’t had such a bad taste left in my mouth by an installment of the franchise since Jar Jar. Star Wars has to do better, if it is to retain its position at the heart of sci-fi. I hope that it can.